Double your donations to Hidden Talents for one week only! Canolfan Gerdd William Mathias, a charity dedicated to providing experiences in music to the public is calling for the support of the local community and businesses to help reach a fundraising target of £3,000 which will be doubled during the Big Give Christmas Challenge 2017. Any online donations made to Canolfan Gerdd William Mathias (Music Centre) between 28th November – 5th December will be doubled and will contribute to the continuity of Hidden Talents, a programme which provides opportunities in music making for adults with disabilities from the Caernarfon area. The project has been held successfully for over 10 years and has become immensely important to over 30 participants who attend weekly sessions at Galeri Caernarfon. It was established in 2003 by the Music Centre and musician Arfon Wyn with support of the Arts Council of Wales and Gwynedd Council Social Services. Local individuals living with disabilities benefit both socially and educationally. For some participants, music offers a natural means of communication in the absence of speech. Other benefits include confidence-building and opportunities for social interaction. Take a look at this film for a taste of what the project offers. Musician and session leader Arfon Wyn said: “I have great satisfaction from working with ‘Hidden Talents’, we improvise together musically and have made friends for life”. Since 2012 the project has expanded to Pwllheli and Denbighshire and in 2013 was awarded with the Bryn Terfel Foundation Wales Care Award for promoting the Arts in Social Care. The charity works tirelessly to secure funding of up to £14k annually towards this project. 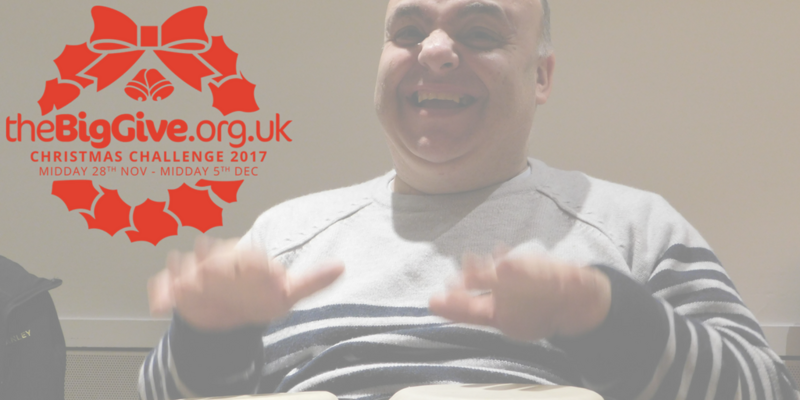 To support Hidden Talents and help continue to enrich the lives of people living with disabilities, please donate online to Canolfan Gerdd William Mathias between 28th November – 5th December 2017. For more information, contact Canolfan Gerdd William Mathias on 01286 685 230.